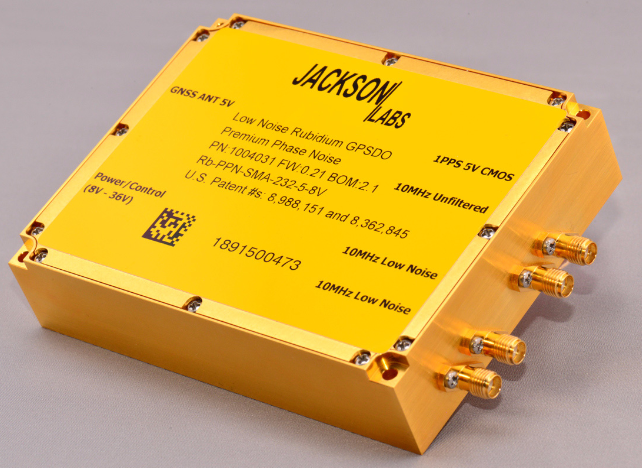 The LN Rubidium Reference builds upon, and is backwards compatible to our LN CSAC GPSDO product line. These Rubidium units have better Phase Noise, better ADEV performance, lower thermal sensitivity, better holdover performance, longer lifetime and MTBF, and lower cost than comparable units. The LN Rb GNSDO(tm) has by far the lowest phase noise, and best ADEV performance on the market today, and even out-performs many expensive low-noise OCXOs in phase noise performance, and high-end Cesium clocks in ADEV performance. In the Ultimate performance ordering option the unit typically exhibits -115dBc/Hz noise at 1Hz offset, with a noise floor of lower than -168dBc/Hz, and ADEV performance of 5E-013 from 0.1s to 20+ seconds, and less than 8E-014 ADEV averaged over 24 hours. Units can alternatively be ordered with a Chip Scale Atomic Cesium Clock (CSAC) for power consumption of less than 1.4W, and a warmup with atomic lock of less than 2 minutes typically. The LN Rb GNSDO(tm) unit also integrates a latest-generation GNSS receiver with GPS/Glonass/BeiDou/QZSS and SBAS support, and can optionally be disciplined by an external SAASM GPS receiver. 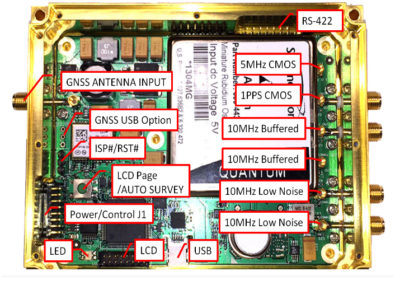 The LN Rb GNSDO comes in four ordering options with different phase noise/ADEV performance levels and respective pricing, as well as different atomic clock performance levels and technologies (both Rubidium and Cesium miniature atomic clocks can be ordered). The unit comes in a ruggedized, gold-plated aluminum enclosure that can be ordered in a conformally coated version. The unit is fully backwards compatible to our CSAC GPSDO products line, supporting both SCPI as well as NMEA communications interfaces, and includes an avionics-compatible power supply that can operate from 8V to 36V, with 5.6W steady-state power consumption.